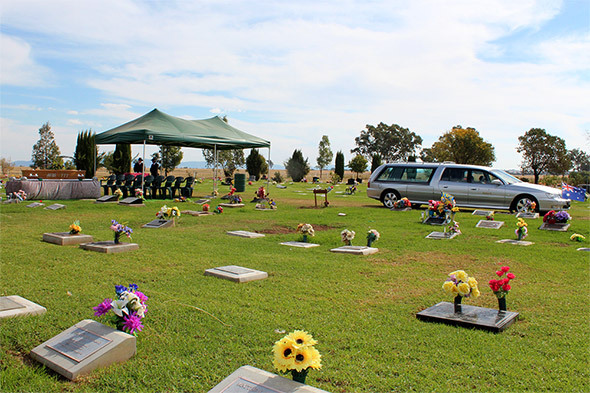 Bevan Douglas Funerals has been serving Tamworth and districts with care and concern for over 35 years. We remain locally owned and operated, we take pride in the care we deliver to our families in their time of need. Guiding Lady Funerals is another option that we now like to offer to our families, as some families like the thought of having a female’s soft touch through the entire funeral process. All Bevan Douglas Funerals and Guiding Lady Funerals caring and professional staff are here to guide you through the process of arranging a funeral. We are available 7 days a week. http://bevandouglasfunerals.com.au/wp-content/uploads/2017/07/logo-bd-300x138.png 0 0 Paul Brooks http://bevandouglasfunerals.com.au/wp-content/uploads/2017/07/logo-bd-300x138.png Paul Brooks2019-03-22 03:16:352019-03-22 03:16:36Bourke, Anthony Robert "Tony"
http://bevandouglasfunerals.com.au/wp-content/uploads/2017/07/logo-bd-300x138.png 0 0 Paul Brooks http://bevandouglasfunerals.com.au/wp-content/uploads/2017/07/logo-bd-300x138.png Paul Brooks2019-03-14 23:21:132019-03-14 23:21:14Effer, James Edwards, "Jim"
http://bevandouglasfunerals.com.au/wp-content/uploads/2017/07/logo-bd-300x138.png 0 0 Paul Brooks http://bevandouglasfunerals.com.au/wp-content/uploads/2017/07/logo-bd-300x138.png Paul Brooks2018-09-13 06:43:552018-09-13 06:44:22Wright, Gladys Alynne "Kate"
http://bevandouglasfunerals.com.au/wp-content/uploads/2017/07/logo-bd-300x138.png 0 0 Paul Brooks http://bevandouglasfunerals.com.au/wp-content/uploads/2017/07/logo-bd-300x138.png Paul Brooks2018-03-06 03:38:082018-03-06 03:38:08Moran, Graham John "Smiley"
Please complete the form below to get in touch with Bevan Douglas Funerals.